The UK's flourishing creative industries could falter if the government fails to produce an improved immigration system when freedom of of movement ends, a new report has warned. In its Global Talent report the Creative Industries Federation (CIF) highlighted that the creative industries bring £87 billion to the UK economy – more than the automotive, oil and gas, aerospace and life sciences industries combined. The creative economy as a whole accounts for 3 million jobs in the UK, and 1 in 11 jobs in the country are in the creative industries. But while it is currently the UK's fastest growing sector, the creative industries are under threat from Brexit and increased immigration controls. Without freedom of movement the CIF warns that businesses will struggle to attract and retain the "brightest and best". Architecture, design and technology businesses are already struggling to fill roles with homegrown talent. Of the 250 businesses surveyed 75 per cent employed EU nationals, with two thirds saying they would not be able to fill those roles with UK workers. 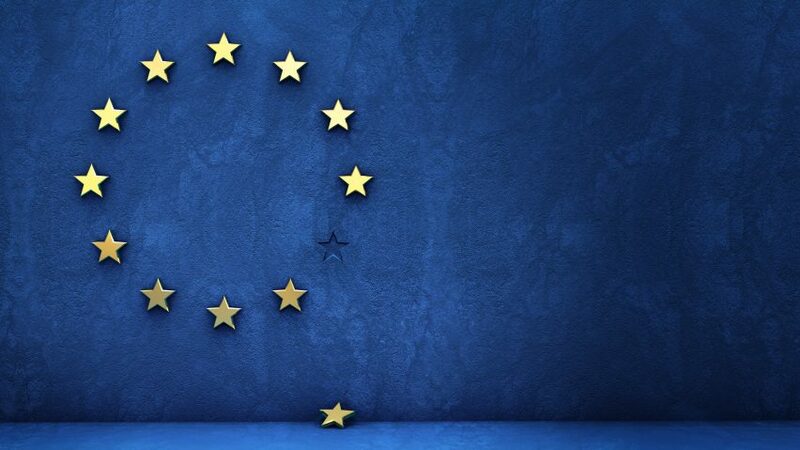 RIBA has indicated that 25 per cent of architects currently working in the UK are non-UK EU citizens. A lack of provision for technical education in schools, falling number of students studying design-related courses, combined with a low awareness about career paths in these industries means creative business are having to hire from outside of the UK to plug the skills gap. Jobs that combine technical skills with creative ones, such as graphic design and visual effects, are particularly hard to fill. "[Government] must now deliver an immigration system that can support its commitment – a system commensurate with its vision of an open, global Britain," said John Kampfner, chief executive of CIF. "Our global reputation has made us a magnet for world-class talent who, in turn, have helped build our international renown. It would be reckless to lose this hard-won success." Significant damage to the UK's reputation abroad has already been done, claims the CIF. Business reported some staff had already left due to concerns about their future employment, and a quarter of the respondents to the 2017 London Business Survey said they were now considering moving at least part of their operations to another part of Europe. Kampfner called for a "radical re-imagining" of the immigration system, proposing that the government take a "twin-track" approach to shoring up the current system and putting together a replacement that caters to the specific needs of the creative industries. First of all, the government should confirm the right to remain for EU nationals as soon as possible, and work to secure reciprocal rights for UK workers to move freely within the EU for short-term projects. According to the CIF an ideal system would include visa-free travel for UK and EU citizens to allow the current close ties between the UK and the rest of Europe to continue. The CIF proposed that the opportunity should be taken to improve the current system, which is too restrictive for the needs of these fast-moving industries. Currently the UK visa system only works for bringing in high paid performers and artists. The current minimum salary requirements of £30,000 to £35,000 are too high for the creative industries. One of the proposals was to introduce a "creative freelancer" visa, as 47 per cent of creative roles are on a freelance basis. Berlin has seen successful results from its freelance resident's permits, which function as a kind of "artist's visa" for creatives. The UAE has an non-resident freelancer's entrepreneur visa allowing them to work in a "free zone" in the country. Both are cited as examples of successful models in the report. The report also petitioned for same-day turnaround times for visas to accommodate creative businesses, which often need to hire at short notice. The CIF warned that the new system can't be too complex or expensive, as the average creative business only has 3.3 members of staff and don't necessarily have in-house expertise on visas and immigration. Low-skilled workers should also be considered carefully under the new system, as many creative endeavours rely on income from revenue streams such as theatre cafes and bars. The report also challenged the Conservative government's pledge to double the immigration skills charge. The charge penalises business that hire non-EU workers, which the CIF claims is unfair when creative industries are unable to fill roles with UK workers due to the skills gap. Instead a model such as the one currently used in New Zealand could be introduced. Business in New Zealand who want to hire employees from overseas have to demonstrate a commitment to closing the skills gap in their own country, for example by running a graduate scheme or offering apprenticeships. "Building an open and flexible immigration system for EEA nationals makes good business sense in that it will allow UK companies access to the talent they require at home," said Andrej Kupetz, chief executive of the German Design Council. "But it is about far more than this, too. Providing EEA workers with more favourable terms of entry will help secure the same in kind for UK businesses and citizens in Europe," he added. "The easier it is for UK businesses to travel to Europe, the greater their ability to conduct business and export. This is nowhere more true than with the creative industries." The Design Business Association has also called for a re-think on "onerous, time-consuming and costly" immigration rules. A survey of its members concluded that being able to hire overseas talent was vital for the UK design industry to be able to compete globally. Meanwhile Frankfurt is planning to cash in on the Brexit confusion by luring businesses away from London with shiny new high-rise towers by architects including BIG, UNStudio and Ole Scheeren.